Saturday morning shopping is not normally one of my favourite pursuits and I’m not normally eager to set off on such trips. However yesterday was different with an eager, early start preparing our slightly underused trailer for a trip to the northern end of Northumberland to collect our new pigs. The accommodation had been sorted out in the past week and everything was in place ready for their arrival. 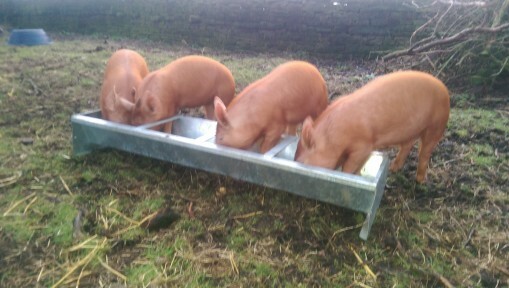 Our choice of Tamworth pigs is mostly because they are hardy pigs who can easily manage living outside all year round. They are also full of character and are officially a rare breed so we’re helping on that side too. Last year’s 3 Oxford Sandy and Black pigs were an interesting trial with a different breed but our first weaners were Tamworths and I was probably hooked on day one with them! 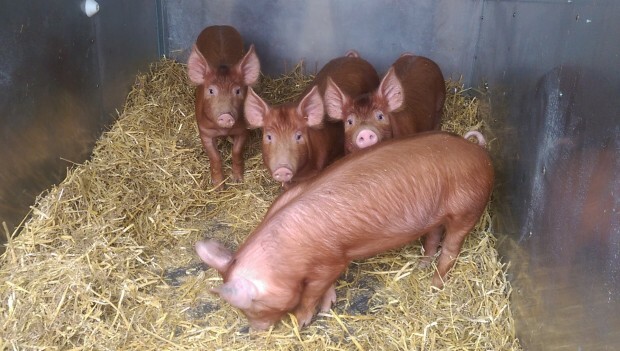 This time around we have bought 4 weaner gilts with the idea of keeping two for long-term pedigree breeding. These are a little over 9 weeks old and even to my untrained eye they look pretty good – bright-eyed and alert. The breeder had already marked out the two likely contenders to keep for breeding next year. They are all birth notified for their pedigree records but apparently official pedigree registration is only necessary in order to breed pedigree offspring in the future. We will take a few weeks to see how they develop before deciding which ones to register. The only concern is that we may eventually decide to keep them all because we can’t choose between them. 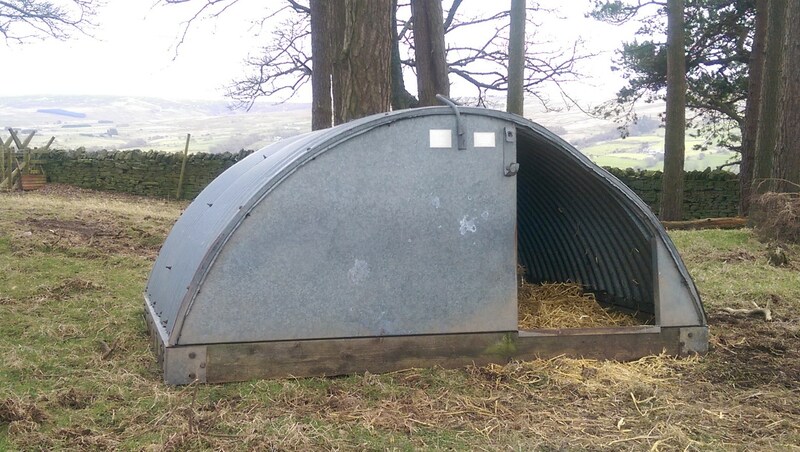 After a very blustery first night in the North Pennines, they were up bright and early for their breakfast. They seem quite happy with their new surroundings even though they are just a bit too short for their feed trough. Needless to say they manage just fine by climbing in with the food! They look lovely, we are looking forward to getting more pigs later on in the year they are so much fun.